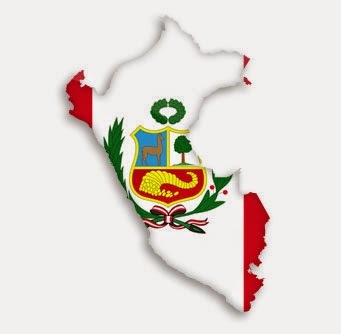 The production of almost all major metals by Peru reported strong growth in Peru during the month of March this year. While the output of copper, gold, silver and zinc reported significant increase during the month, tin production declined, in accordance with the official government data released yesterday. According to data released by the Energy and Mines Ministry, copper production rose 9.3% from 118,036 mt in March last year to 129,051 mt in Mar ’15. The decline in copper output from Antamina and Cerro Verde mines was offset by increased mine output from Southern Copper, Toromocho and Antapaccay mines. The increased output from Newmont and Barrick gold mines contributed to the 10.4% growth in gold production during March this year. The gold production totaled 393,059 Oz in Mar ’15, in comparison with the output of 356,097 Oz during the same month a year before. Silver production increased 15% over the year from 9.4 MOz to 10.8 MOz in March. The Buenaventura, Volcan and Antamina mines reported higher silver production during the month. Zinc production rose 24% from 94,978 mt a year before to 117,485 mt in Mar ’15. Lead output too rose 27% from 21,745 mt to 27,597 mt over the previous year. Lead output witnessed sharp increase in Volcan and Milpo. Molybdenum output too jumped 31% to 1,826 mt in March 2015. Meantime, tin production by Minsur- the country’s only tin producer, declined sharply by nearly 15% from 1,945 mt in March 2014 to 1,665 mt in March this year. Where is the 2015 Peak for Copper Price? What are the factors to weigh Lead prices?